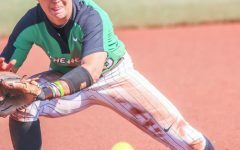 Marshall softball clinched its three-game series against UTSA 2-1 this past weekend in San Antonio, Texas. 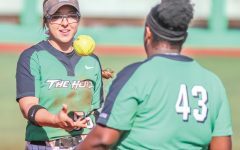 In day one of play, a Saturday doubleheader, the Herd (18-20-1, 8-6-1 C-USA) won the first game 3-0 and the second game 4-2. In the series, senior outfielder Jordan Colliflower extended her hitting streak to 21 games by going 2-for-4 in game one, 2-for-4 in game two and 1-for-3 in game three. “We played really good softball,” head coach Jen Steele said. “Our pitching staff got ahead of hitters and did a good job of limiting free passes. 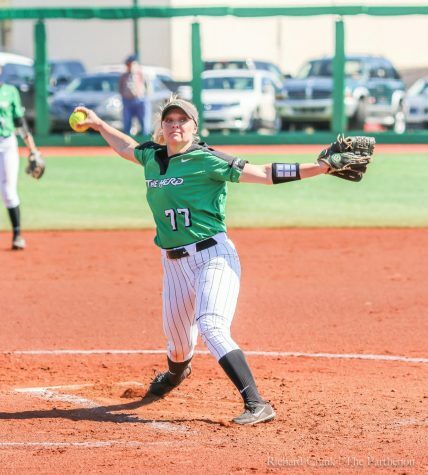 In game one, junior right-handed pitcher Abigail Tolbert earned her eighth win of the season with her fourth complete game-shutout of the season. She struck out two without allowing any walks, and allowed just two hits. 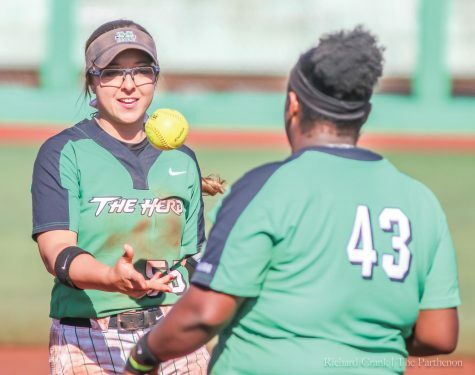 Marshall’s biggest game one scoring blow came in the top of the fourth, when junior designated hitter Briana Daiss hit a two-run home run—her third of the season and 18th of her career. 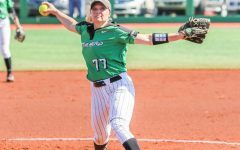 In game two, Marshall started the game with a defensive gem, as senior Eloise Tribolet robbed the Roadrunners (16-17, 5-6 C-USA) of a home run in center field in the first inning. “The defense made some nice stops with runners in scoring position, with the biggest being (Tribolet’s) catch to rob the home run,” Steele said. 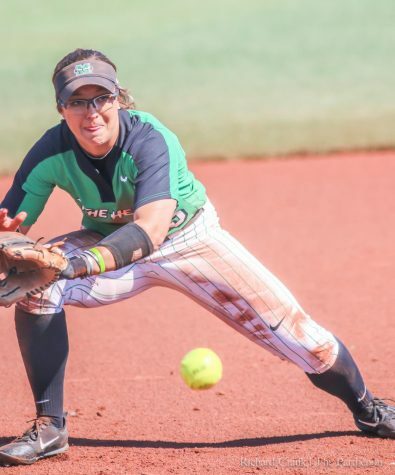 Herd freshman infielder Aly Harrell went 3-for-4 at the plate and drove in three runs, including a two-run double in the top of the seventh to break a 2-2 tie. Senior infielder Elicia D’Orazio tallied four stolen bases in game two, raising her season total to 35 and her career total to 157. She is six steals away from passing Morgan Zerkle for the most career steals in program history. In Sunday’s game three rubber match, defense was crucial. The teams combined for three total runs, as Marshall dropped the game 2-1. The Herd scored first in game three, when a throwing error that rolled into right field allowed Daiss to score from second. The Roadrunners scored two in the bottom the fifth, however, and took a 2-1 lead. Then, UTSA’s defense kept Marshall at bay to secure the win. 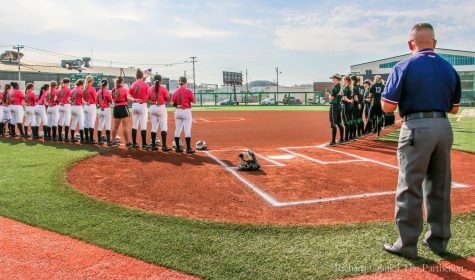 The Herd returns to Dot Hicks Field Wednesday to take on Morehead State in a doubleheader starting at 1 p.m.